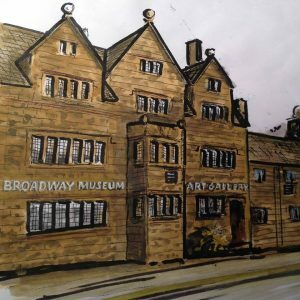 The Museum explores the history of the town and tells the story of it’s success through the wool trade and the popularity of the town with travellers and artists. The unique collection includes paintings, porcelain and artefacts curated by the Ashmolean in Oxford, and the furniture has been selected from the Keil’s Antiques Collection. The local exhibits are ever evolving.